Qosmotec showcases its Car-2-X test system at the 2015 ITS World Congress in Bordeaux, France. Between October 5th-9th 2015 Qosmotec will demonstrate that it is not necessary to be a radio expert for running a channel emulation. 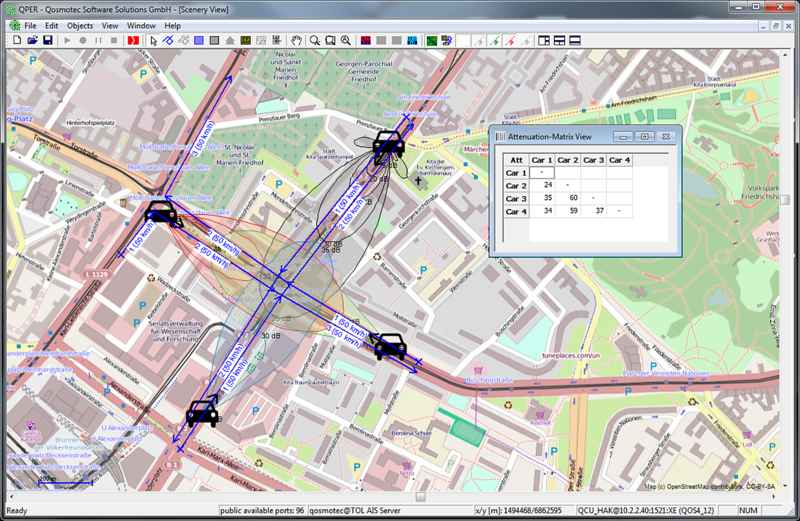 reproduction of complex traffic scenarios in the lab. ITS World Congress attracts experts from the Intelligent Transport System field from all over the World – from the automotive industry to public systems operators and systems integrators to users. Qosmotec’s exhibition at the 2015 ITS World Congress is located at booth F13. Click here to view the floor plan. Business Review Zillion International, a magazine covering trends, technological developments and strategic issues in international business, features an in-depth report on Qosmotec’s Car-2-X test system QPER-C2X. 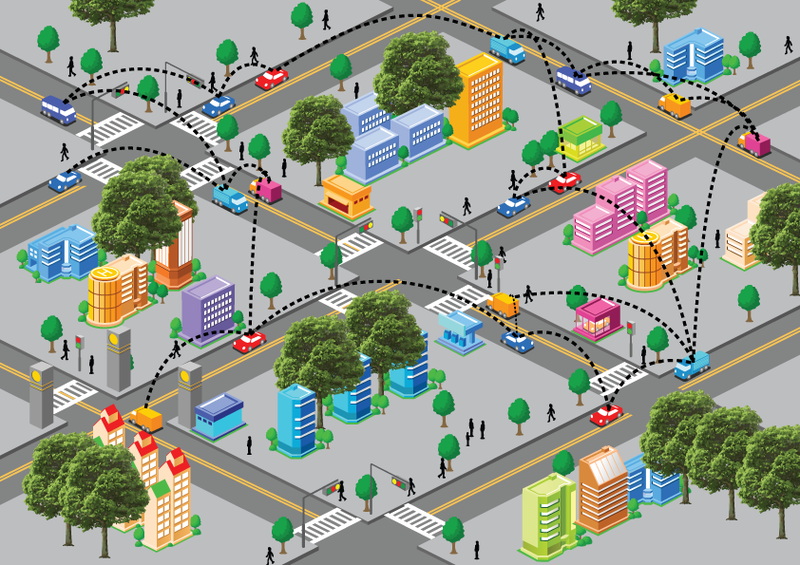 Titled “Paving the way for C2C communcations”, the article gives an insight on Qosmotec’s approach to enable realistic and comprehensive C2C interoperability testing in the lab. Qosmotec presents its Car-to-X test system QPER-C2X at the 1st International ATZ Conference “Driver Assistance Systems – From Assistance to Automated Driving”. At the conference top-class engineers and managers working in the interdisciplinary field of Car-to-X technology gather to evaluate technical concepts and their feasibility as well as their acceptance on the market. “We are proud to showcase our approach to test Car-2-X technology under real-life conditions in the lab at an event, where the roadmap for Car-2-Car communication for the next couple of years will be examined,” claims Mark Hakim, Managing Director Qosmotec. The newly launched conference is held by ATZlive and specialist magazines ATZ and ATZelektronik. It looks at the technical challenges of driver assistance systems that are expected to be ready for series application until 2020. A special focus is set on testing methods requiring interdisciplinary and cross-sector development. “This is exactly where we fit in. We offer a testing method for repeatable and reproducible drive tests which makes approaches from mobile technology usable for Car-2-X communication,” states Hakim. “Driver Assistance Systems – From Assistance to Automated Driving” takes place on April 28th and 29th at the Hilton Hotel, Frankfurt (Main), Germany. 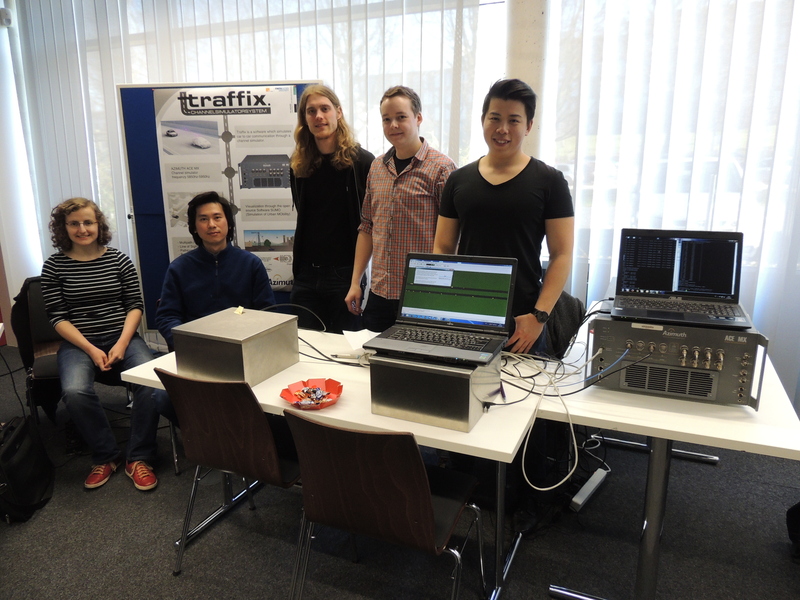 Qosmotec’s project team for the integration of Azimuth’s channel emulator led by Iris-Marie Köster (left) with students from the University of Applied Science Aachen. Qosmotec and Azimuth Systems, Inc., a leading provider of automated, realworld mobile performance test solutions, announced a joint collaboration for developing a Car-to-Car (C2C) test solution. By combining Qosmotec’s signal strength emulator QPER with Azimuth’s ACE MX channel emulator, the solution simulates all traffic, mobility and channel aspects of a C2C environment. This solution enables realistic, and comprehensive C2C interoperability testing in the lab. Testing Car-to-Car communication in the lab requires the emulation of a significant number of radio links (each of which maps to a link between two cars), some links requiring primarily just attenuation and others requiring a complete radio channel. Qosmotec’s field strength emulator system provides the attenuation links for these tests; the field strength emulator offers a large number of configurable links that can be configured to reflect the different path loss between the cars. Azimuth’s ACE MX channel emulator complements this by emulating the complete radio channel (path loss, Doppler, propagation delay, AWGN etc.) for links that require a complete radio channel. 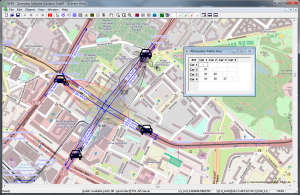 The QPER-C2X software controls this integrated solution and provides a graphical interface to create and configure the physical environment and the traffic model. The ACE MX is a part of Azimuth’s industry leading portfolio of channel and environment emulators purpose-built for testing real-world device-network interactions and their impact on end-user performance. The underlying platform is architected to support existing and forward-looking technologies and enable rapid development and automation of applications and solutions such as C2C communications. Qosmotec’s QPER-C2X is a signal strength emulator enabling to interconnect up to 15 radio modules and thus simulating a high number of individual radio as they are established in Ad-Hoc networks. It emulates all kind of signal strength effects like path loss, shadowing, fast fading or antenna shaping on each individual path. 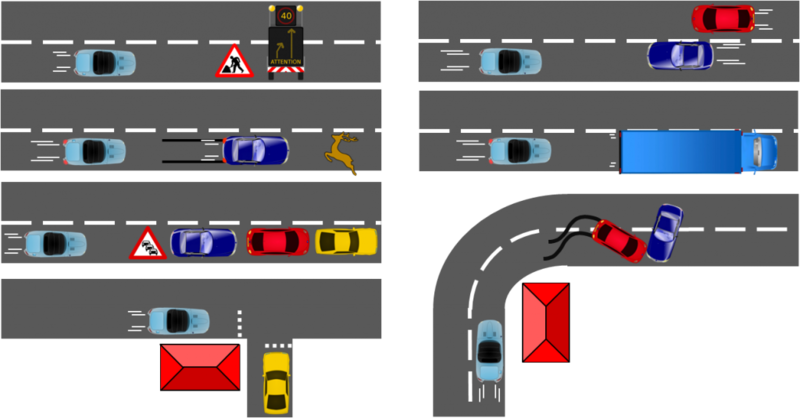 These effects are automatically generated, when the tester runs a traffic model that can simply be created on a graphical user interface. 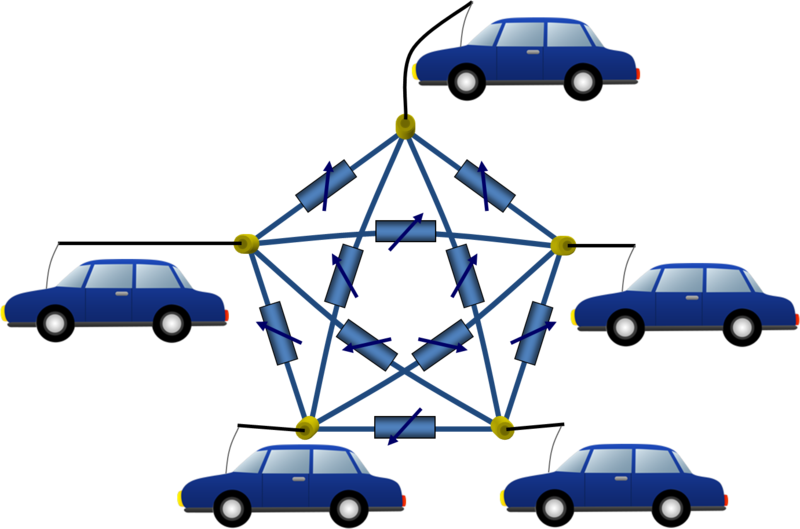 Besides to that, QPER-C2X offers an open interface to integrate with traffic modeling tools that are well established in the automotive industry like the open source software SUMO. On Qosmotec side, a team of five Bachelor students from the University of Applied Science has been working on the development of traffic scenarios, that are dynamically executed on the Azimuth ACE MX channel emulator. Iris-Marie Köster, head of the team, was excited about the achieved results: “It feels fantastic to put scientific knowledge into pratice this way.” From next week on, Iris will operate the developed prototype on the ITS plugtest in Helmond. Between March 2nd and 5th Qosmotec will showcase its products at Mobile World Congress 2015, Fira Gran Via Exhibition Center, Barcelona, Spain. An extension of our non-blocking switches for QPER: RF-Switches, that select one from 40 RF inputs provide for a completely software controlled test lab and avoids any re-cabling of coaxial lines. Enhanced and optimised LTE testing procedures in our load and functional tester LTS. 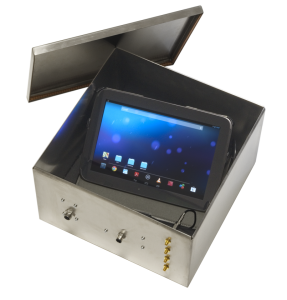 A new shielding box for larger UEs such as tablets and prototype platforms with external USB and Ethernet interface. On the roadmap and available soon: A voice recognition procedure that identifies transmitted speech samples. Meet our experts for a chat on automated network testing with integrated subscriber mobility emulation in Hall 6 Stand K11. Our famous stand-party will take place on Monday at 18:00. We would enjoy to welcome you there. 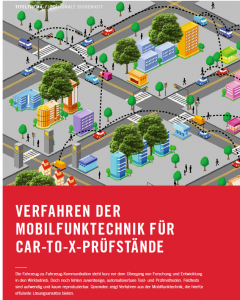 ATZ Elektronik, one of Germany’s leading automotive special interest magazine, has an in-depth report on the Car-to-X adaption of QPER as cover story in its december issue. The article gives a detailed account of Qosmotec’s approach to employ signal-strength emulation to run virtual drive tests in the lab and the extension to a full test bench setup for Car-to-X test laboratories. 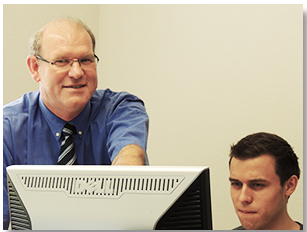 Additionally, ATZ offers an insight into Qosmotec’s current R&D activities in co-operation with RWTH Aachen University. 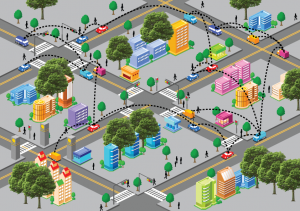 These are aimed at developing channel models to predict signal strength exactly in specific locations, based on real building data and traffic situations. ATZ Elektronik’s current issue is available online, where you find the German version of the article. It had something of a premiere: For the first time Qosmotec officially showcased its test bench setup for Car-to-X communication testing. At the 8th Car2Car Forum at Stadthalle Braunschweig we had built up our 5-port QPER system with two IEEE 802.11p capable radio modules communicating with each other via a radio link, on which signal strength was controlled by our emulation software. Additionally, the two modules were controlled via the CANoe software from Vector Informatik. “Last year at the Car2Car Forum in Munich, we planned to establish this co-operation with Vector. At this time, we did not even have the slightest idea, whether those to systems really fit together. All the more proud we are that we could demonstrate a fully integrated environment, executing several typical traffic scenarios like emergency break situations, slow vehicle warnings or communication between cars and infrastructure like traffic lights, only eleven months later ”, says Qosmotec’s Managing Director Mark Hakim. 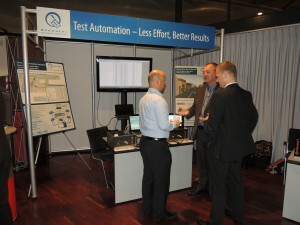 The demonstration attracted many of the 250 congress participants, who appreciated to see a complete example for a hardware-in-the-loop test benches on our booth. Together with car manufacturers and vendors of radio equipment, we identified an important application case, that shall be followed up in the near future. “We want to proof the negative impact of WLAN noise from IEEE 802.11ac and 802.11n on the Car-to-car communication”, says Mark Hakim. Besides to this setup we showed a first concept, how to extend interoperability tests with other signal propagation effects like Doppler and Multipath fading. Also we specified on the congress, how to support the ETSI Plugtest, that will be hosted by TASS international in March next year in Helmond, with Qosmotec test equipment. Qosmotec presents its new test bench set-up for Car-to-Car Communication. It is a combination of our signal strength emulator QPER-C2X and Vector’s CANoe software offering a perfect platform for for automised tests in labs under real RF conditions. The Car2Car Forum is the Car2Car Consortium’s (C2C-CC) annual congress. C2C-CC is a nonprofit organisation of European vehicle manufacturers and equipment suppliers, dedicated to the objective of further increasing road traffic safety and efficiency by means of co-operative Intelligent Transport Systems (C-ITS) with Car-to-X Communication. Qosmotec’s managing director, Mark Hakim, and Ferdinand Schuber, Head of Sales, will showcase the new test system and examples of use. 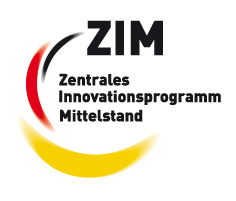 We are looking forward to meet you in Braunschweig. Learn more about our test system for Car-to-X communication at www.qosmotec.com/car2x-test-systems.